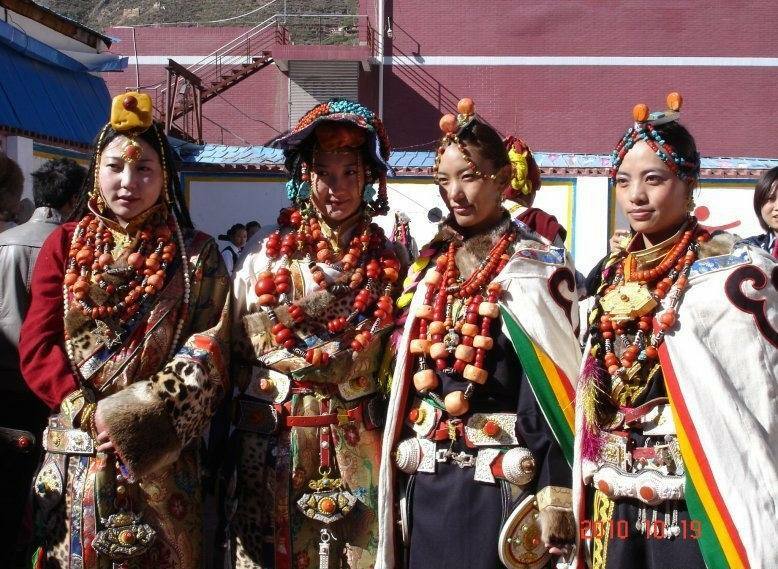 Tibet was traditionally divided into three regions. 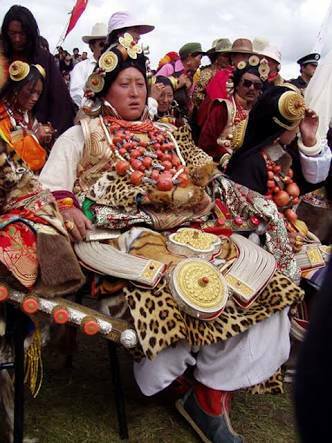 The U Tsang region in the West, the Kham region in the South West and Amdo region in the North West. 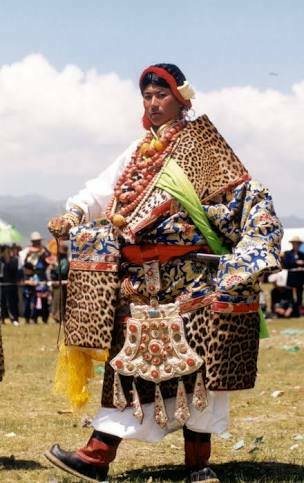 The traditional Kham region consisted of parts of the present day TAR, Sichuan, Gansu and Yunnan. This whole region is a mountainous one and main mountain Range here is the Hengduan Mountains. It used to be one upon a time called the Chinese Himalayas and is considered the Eastern most Range of the Great Himalayan Mountain System. The region is quite rugged and has craggy mountains and many of the great Rivers of South East Asia come through this Region. The Yangtze, the Irrawady, the Salween and the mighty Mekong also cut through enormous Gorges in this Region. Every August they hold a festival on the Eastern edge of the Tibetan Plateau where the famed Khampa Horsemen converge at a place called Litang at 14000 ft above sea level in Sichuan. The Khampa both the men and ladies are all adorned in all their finery. Gold, silver, turquoise and coral jewelry in all its opulence. As one Khampa gentleman said "To the Khampa men, riding horses is a glorious thing. 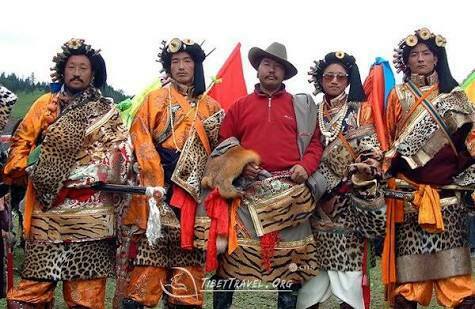 We feel proud to be the descendants of the heroic King Gesar. To gallop on horseback across the boundless grasslands makes us feel extremely confident and happy". King Gesar is a tradionally revered figure in Tibetan Buddhism and is held in great respect in area ranging from Baltistan, Ladakh, Tibet, Mongolia and even by the Oryuts of Siberia. That's another story to be told another day. Even Roerich made many references to King Gesar in quest for Shambhala. I had visited the Region last January though I could only go to the most southernly part of Kham in North West Yunnan. It in a mind blowingly beautiful Region as it sits on the edge of the Tibetan Plateau. I have posted pics from there earlier and will post again. All said and done their jewellery is absolutely outstanding and it adds to the natural beauty of these people. Another one of the people of our great Himalayas.